For the Châteauneuf-du-Pape, we achieve 35hectoliters per hectare and our grapes are all picked and sorted by hand. 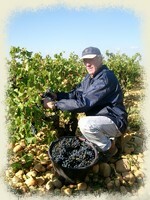 The grapes are harvested by hand and put in a picking bucket. Then we separate the finest bunches from the damaged grapes directly in the vineyard. 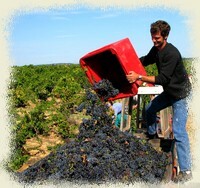 The grapes are taken to the vat room in a harvesting bin (gondola). Then, they are de-stemmed. 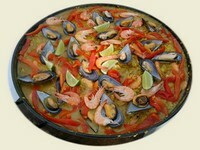 Each year, the Spanish grape pickers prepare "Paella" and we celebrate the end of the harvest.